Family size and composition have strong economic and social consequences in Afghanistan, experts say. “The larger a family is the greater its vulnerability to poverty, illiteracy, food insecurity and other shocks,” said Abdul Rahman Ghafoory, director of the government’s Central Statistics Office (CSO). His analysis is based on a 2008 National Risks and Vulnerability Assessment (NRVA) which indicated there was an apparent correlation between poverty and household size. But others point to family composition as being a key determinant of poverty. “If large families have multiple able bodied working age members, and particularly working age men, then they are better placed to respond to risks and diversify livelihood activities,” said Paula Kantor, director of the Afghanistan Research and Evaluation Unit. She said if a large family is comprised primarily of children and the elderly it could be more vulnerable to poverty. 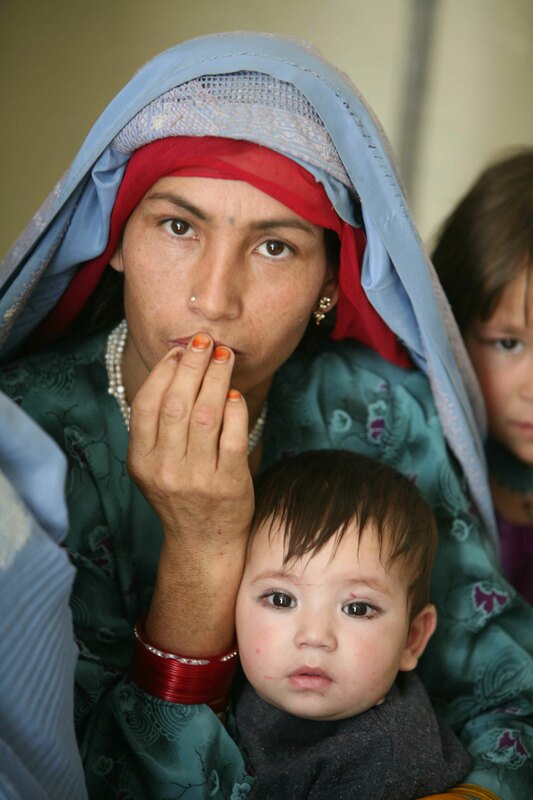 At least 70,000 households are headed by women, mostly widows, in Afghanistan, NRVA statistics show. “Households that are headed by women are usually poorer and more vulnerable than those headed by men,” said Ghafoory, who also noted the social restrictions on the kinds of work women can do. Poverty and joblessness have strong links to insecurity and war in this country. “In the Afghan context, the absence of a male head of household can signify a highly vulnerable position of the household members in terms of income security and social protection,” said NRVA. Abject poverty is widespread and multidimensional in Afghanistan, according to a report by the UN Office of the High Commissioner for Human Rights. “Poverty is neither accidental, nor inevitable in Afghanistan: it is both a cause and consequence of a massive human rights deficit including widespread impunity and inadequate investment in, and attention to, human rights,” said the 30 March report. At least nine million Afghans (36 percent of the population) live in absolute poverty, and five million “non-poor” live on 2,100 Afghanis (US$43) a month, according to NRVA figures. Three decades of conflict as well as factors such as illiteracy, poor health care and unemployment also stimulate poverty, experts say. “Poverty and joblessness have strong links to insecurity and war in this country,” said Ghafoory, adding that many youths were joining criminal and insurgent groups out of desperation and joblessness. Afghanistan’s unemployment rate is estimated by the Labour Ministry at over 40 percent and millions of young Afghan men travel abroad - legally or illegally - in search of work. In 2008 UNHCR said Afghan migrants in Iran send home up to US$500 million a year in remittances. Men generally have better opportunities than women, however, whose literacy, income and health indicators, and participation in decision-making, are far inferior to those of men. More men die in armed conflict than women but their deaths do not match the high number of women who die for lack of a decent health care system. Every day at least 48 mothers die of pregnancy-related complications, according to aid agencies. “Population dynamics, including growth rates, age structure, fertility and mortality, migration and more, influence every aspect of human, social and economic development,” says the UN Population Fund. Afghanistan’s annual population growth is estimated by CSO at over 500,000 but the country has few means of covering the basic needs of this growing population. Development projects tend not to factor in population growth, and there is virtually no government policy on birth control, according to experts and NGOs. “In order to reduce poverty we need to fairly distribute wealth and opportunities among citizens rather than overemphasizing population reduction,” said Ghafoory. Average household size is 7-8 individuals and girls often marry before their legal age (16) and are usually seven years younger than their husbands, according to NRVA. “I find it hard to feed my children let alone help with their education, clothing, medical and other expenses,” said Zarlashta, a mother of 10, whose husband died last year. Two of her eldest sons, Qudratullah 16 and Esmatullah 15, have quit education to work full time and support their younger siblings.